Planning to begin a business and wondering what type of business to start? Business!!!Business!!!Business!!! When it comes to business people says, one should have very well knowledge in the business they begin and some says LUCK is the major part. Well, what if I say start a business were let people reach you around the globe and make you and your business delightful. You might think how it is possible? Yes, it’s possible and it’s achievable only through classifieds business. Just set up a classifieds site live and just see how people gather around to your site for their needs to be fulfilled. Classifieds site live? Is that simple? Here is an awesome way to start a classifieds site live globally without any knowledge in computer coding skills such as PHP and etc… and it’s possible through “Jom Classifieds”. A powerful classifieds script which offer you with full responsive, user-friendly, SEO friendly, highly secure, easy set up, friendly admin panel and easy understandable front-end. You do not need a developer to do all the content change and to implement your own payment and membership in your site. To overcome these difficulties we developed Jom Classifieds full CMS (Content Management System) so you can handle a site like a pro-developer without any developers help. We kept you in mind and developed Jom Classifieds. We know the problem you face, we know the difficulties you will face after launch, and we know the trouble you face while setting up the site so we give you an end to these entire problem you face through Jom Classifieds more easy study able and understandable documentation and most excellent instant support. We believe in your dedication and want you so say that we are in part for your successful growth, so help us to help you. Finally ends like; It comes down to one simple thing and its Jom Classifieds. Now a days, job security is inexistent and so, the individuals started making their own websites for his or her career development. Out of them many web site owners are found their new career with creating helpful and successful websites. You’ll create a brand new web site at low risks. For starters, the hosting and domain fee are the sole expenses. If you own a domain name, then it’s terribly simple to create. We possess three demo packages – modern demo quick start package, Classic demo quick start package, JClassify template demo quick start package. Just download the Jom Classifieds – quick start package that you favor and install it as in the documentation. Once you installed, your website will look exactly like our demo. If you would like to configure on your web site, then you can configure with several options available at admin back end. Finally, all you would need to do is, create membership plans for users and set price for those plans. 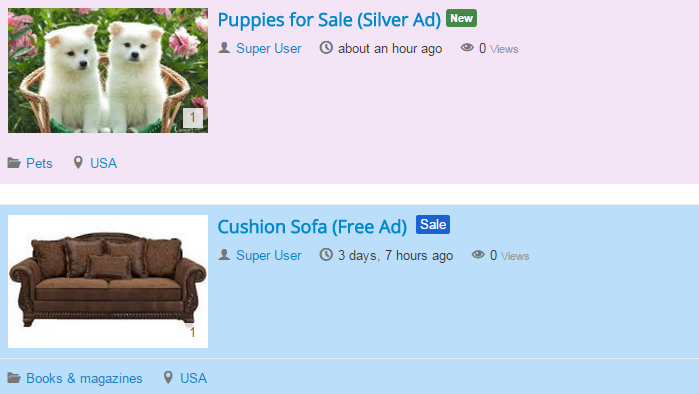 Jom Classifieds 3.1.0 (latest version) has following payment plugins: – PayPal, 2Checkout, Pesapal, Pay fast, Pay sera, Robokassa, Liqpay and Offline. You’ll publish the payment plugins that you require. You can also charge them for posting ads at the top of the list. That’s it. Everything is done. Now, when users starts posting ads in your website, you will be receiving money to your corresponding payment accounts. Do you think, is there any other easiest way to improve your career growth. Absolutely, No. So grab the opportunity and make use of Jom Classifieds and build a tremendous and attractive money earning websites within few minutes. How to set background color for Promotion Ads ? You can set background color for promotion ads you created. Let see an example of, how to set background color for a promotion ads. Advanced Settings => [tab] => Enter the premium class name as per your requirement. Start with “div#jomclassifieds” , and add the class name with . (dot) as its prefix. Check below screenshot. How to set background colors for each Membership? You can set different background colors for each membership you created. Let see an example of, how to create membership and how to set background color for a membership. General Settings => [tab] => Enter the membership name. Advanced Settings => [tab] => Enter the membership class name as per your requirement. Similarly, create multiple memberships and set class name for each as above. How Jom Classifieds helps you in SEO/SEF? Jom Classifieds provided an option at back end called “SEO SETTINGS”. There you can replace keyword for Category URLs, Location URLs and Advert URLs. Keywords are terms or phrases you would expect someone to search for to find the adverts . With SEO you pick your keywords and create pages focused on them. You can only focus each page on a specific keyword phrase or few specific keywords. One of the best tricks to SEO is to gain traffic using many pages focused on specific terms vice focusing on broad single word terms. 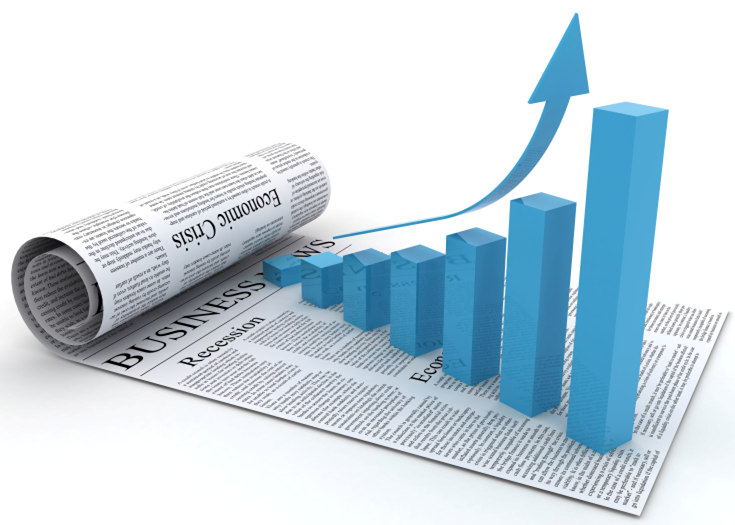 Specific terms are usually easier to rank well for and often have a higher conversion rate. Jom Classifieds helps in optimizing the search engine – it means, in the post advert form, you can see the SEF option, where you can add your meta key words and description. A friendly URL is a Web address that is easy to read and includes words that describe the content of the webpage. This type of URL can be “friendly” in two ways. 1) It can help visitors remember the Web address, and 2) it can help describe the page to search engines. If advert owners gives the relevant keywords and description for an advert, it helps other users/visitors to get their required adverts. It makes sense to both humans and search engines because they explain the path to the particular page they point to. Hence, this option of Jom classifieds also helps you in increasing your ranking in google.